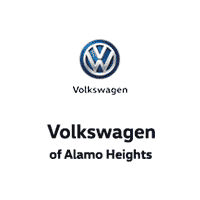 Volkswagen of Alamo Heights is your source for new, used, and certified pre-owned Volkswagen Jetta in the San Antonio TX area. View our inventory online, visit us in person, or call us today at (210) 828-1201 for a great deal on a Volkswagen Jetta. We look forward to serving you. Sí, se habla español. Where Can I Find Volkswagen Jetta for Sale Near Me? Are you asking yourself, ‘where can I buy new & used Volkswagen Jetta for sale near me?’ Volkswagen of Alamo Heights offers an exceptional selection of new, used & certified pre-owned Volkswagen Jetta Compact Cars for you to browse and test drive in San Antonio, TX. Contact us today to find Jetta pricing and availability. In a crowded compact sedan market place, how do you soar above the pack? The Volkswagen Jetta is the response to that inquiry. If you think ‘German engineering’ is exclusively indigenous to the luxurious vehicle set, you’re in for an electrifying surprise when you test drive the Jetta. Stop by Volkswagen of Alamo Heights today to test drive a new, used, or Volkswagen certified pre-owned Compact Car in San Antonio, TX. Our knowledgeable team of Volkswagen specialists are standing by to help you find the perfect vehicle. View our inventory online, stop in, or call (888) 928-1107 today to learn more. We look forward to serving you! The Jetta’s three offered powertrains are a testament to our engineering ingenuity. Whether you choose the 1.4-liter 150 HP turbocharged 4-cylinder, the 1.8-liter 170 HP turbocharged 4, or the 2.0-liter 210 HP inline four, you’ll be grinning from gear to gear as you pass by all those gas stations. If you like variety, you’ll appreciate the Jetta’s available interior packages. With available features like heated leatherette front seats, sunroofs, Android/Apple compatibility, and our exclusive MIB II infotainment system, your biggest obstacle will be in deciding on what options not to put in your Jetta. The Jetta has been praised by automotive safety professionals for its outstanding array of safety technology, including winning NHTSA’s coveted 5-star safety rating along with IIHS’ Top Safety Pick+ designation. If automotive safety is a priority for you, the Volkswagen Jetta is designeded for you.